Summer is winding down and I wish I could have one more beach getaway. I would go back to Bodrum Turkey in a heartbeat. After seeing all the beautiful gulets moored lazily in the harbor, all I can think about is week long sail along the southwestern coast. Maybe next year…. 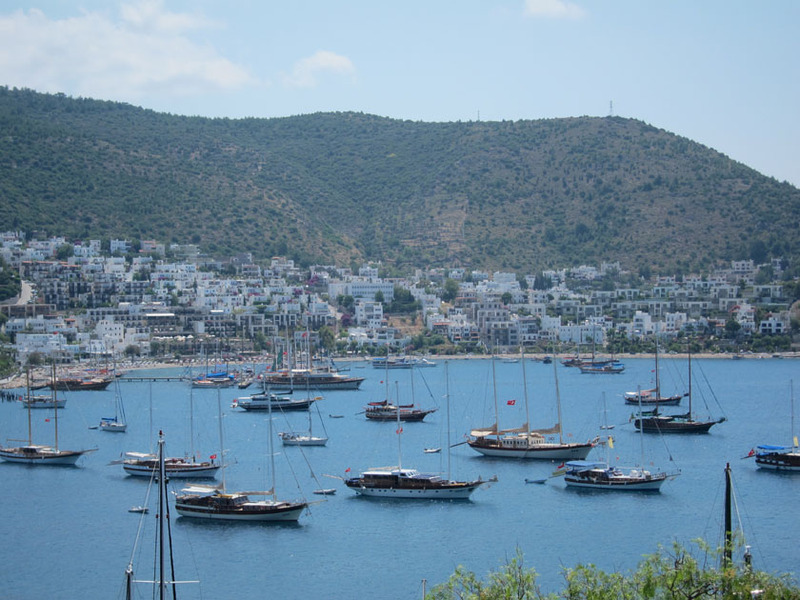 This photo was taken looking east from the Bodrum Castle; there were even more ships in the harbor proper.